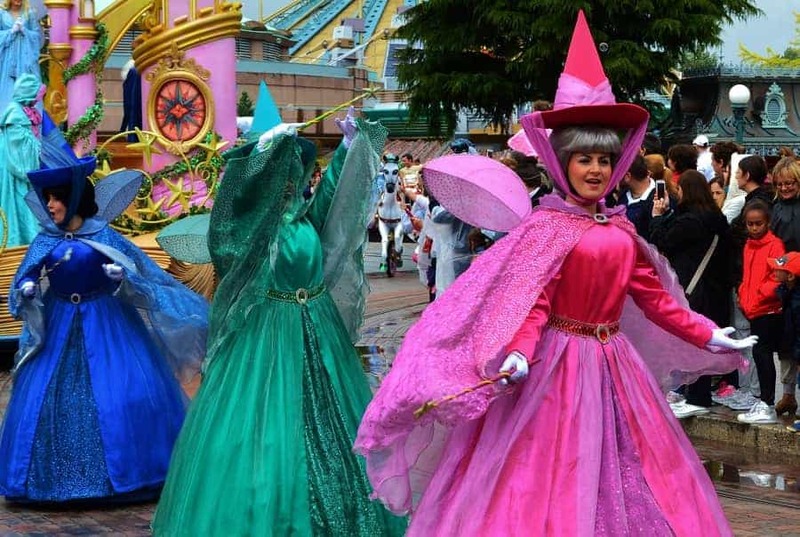 A trip to Disneyland Paris would not be complete without seeing their amazing Disney Magic on Parade! 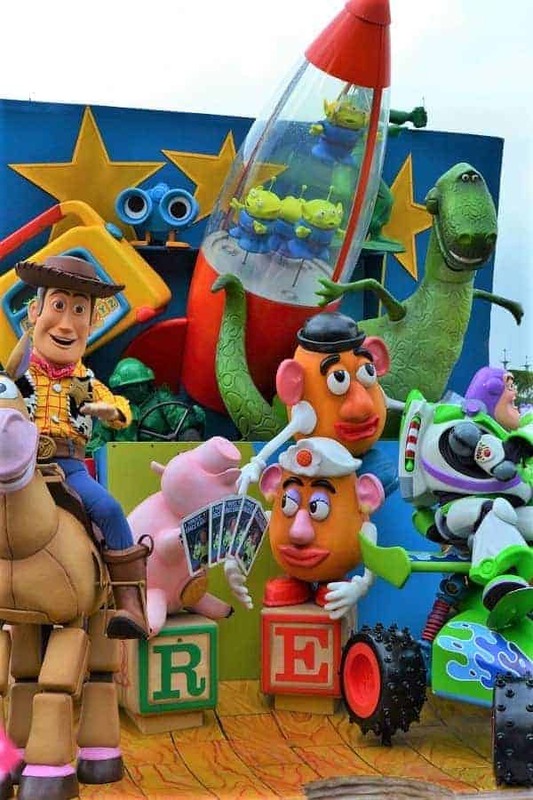 Filled with all your favorite Disney characters, this parade is worth any time you might be giving up on other attractions or rides. We were lucky to hit Disneyland Paris on a rainy day in June where crowds were non-existent and had a front row view of this spectacular parade! 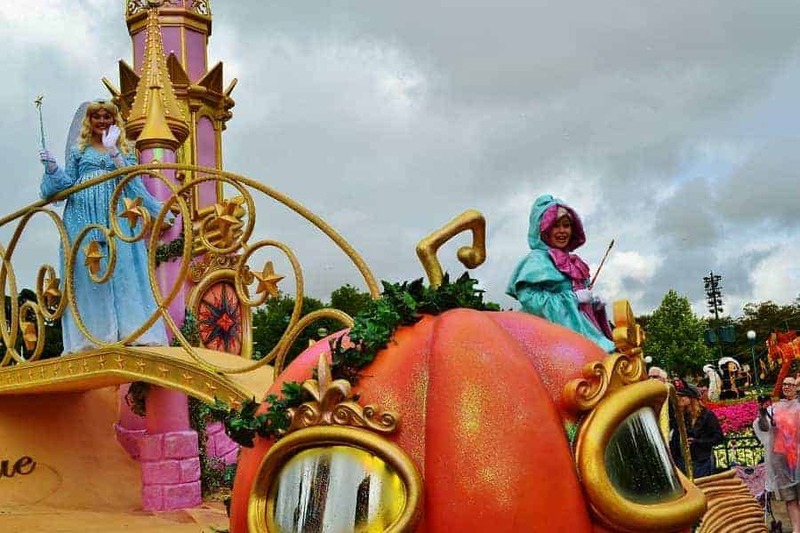 From what I’ve gathered, the Disneyland Paris Parade route can change without much notice and sometimes it won’t run at all if there is too much rain. However, on the day we went, it ran during the rain and on a traditional route that runs along Main Street. We managed to stand directly in front of Sleeping Beauty castle and had a near perfect view of the entire parade. 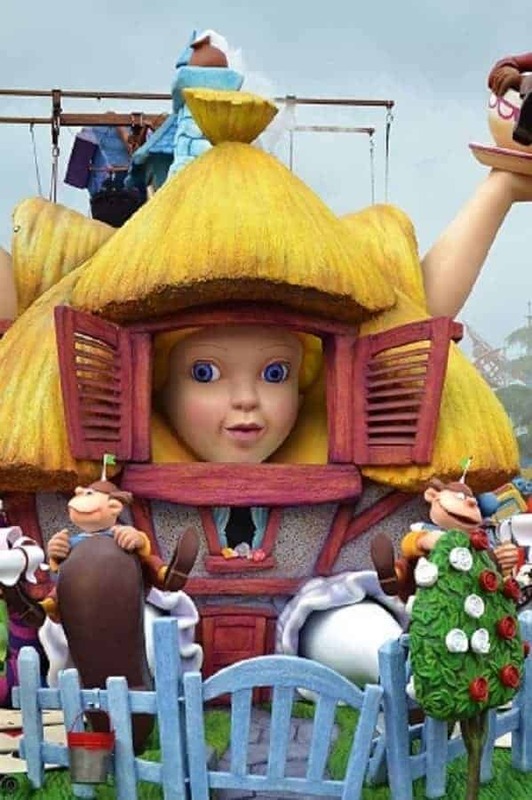 The great thing about the Disneyland Paris parade is that the floats come very close to you, as do the characters and horse drawn carriages. The come so close to you, in fact, that you really get the feeling that you are getting personalized attention from them! 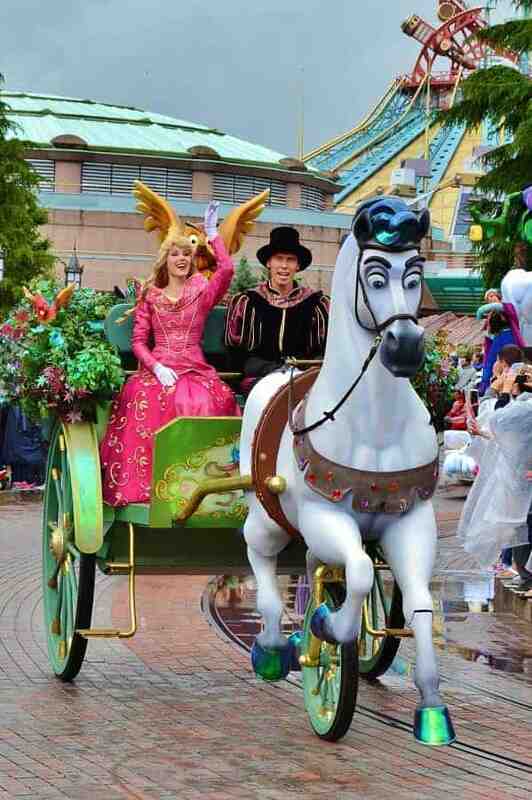 What I enjoyed most about the Disneyland Paris parade was how different it was from Walt Disney World parade. Disney World parades are so elaborate, but you also feel like characters are pretty far away (or way up high). Disneyland Paris floats aren’t as plenty or as elaborate, but they are very close to the spectators. You also get to see floats & characters that Disney World parades don’t include (like Merlin & Alice in Wonderland). 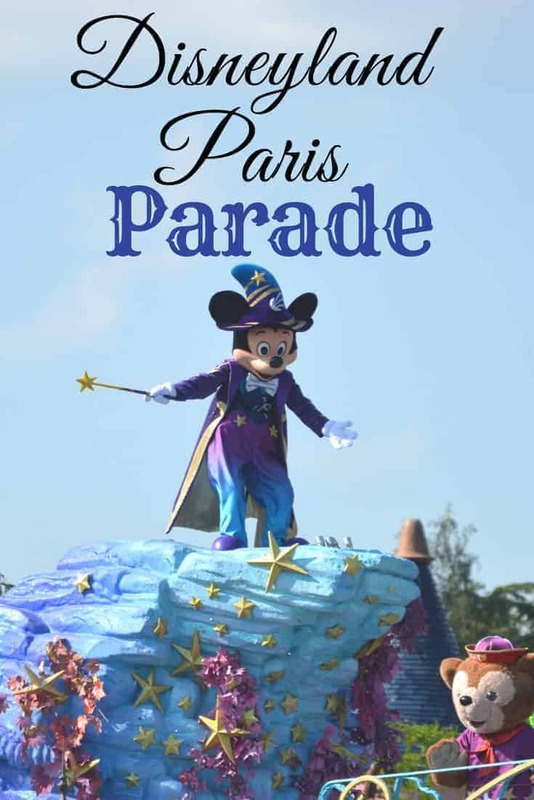 Overall, I was very impressed with the Disneyland Paris parade. The kids not only loved seeing a new parade, but also enjoyed the fact that you felt as though you were actually a part of the parade as opposed to just being a spectator. Do you love Disney parades? What is your favorite part?